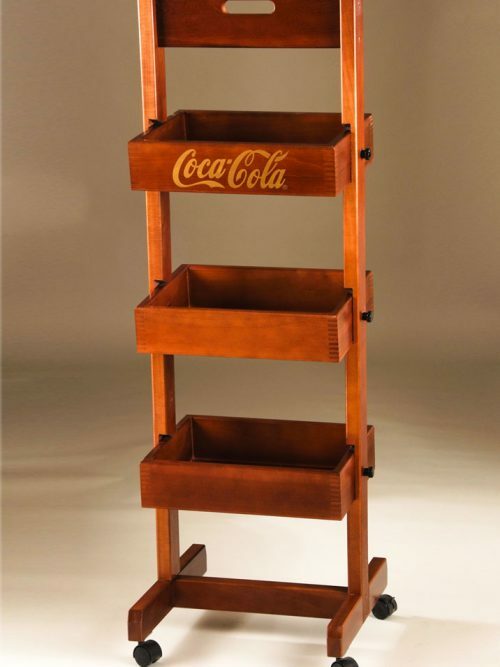 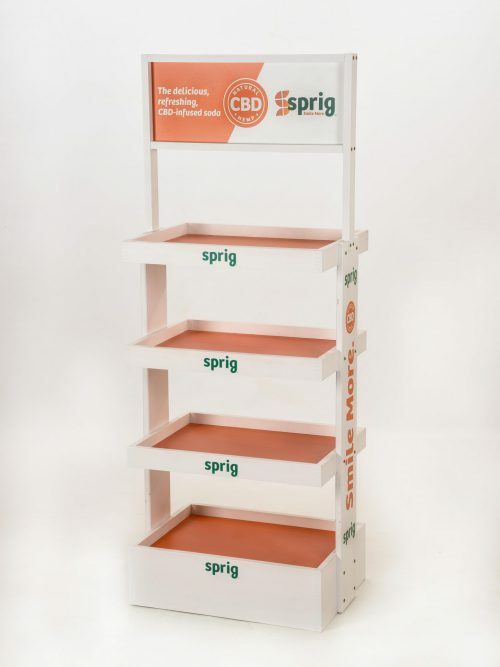 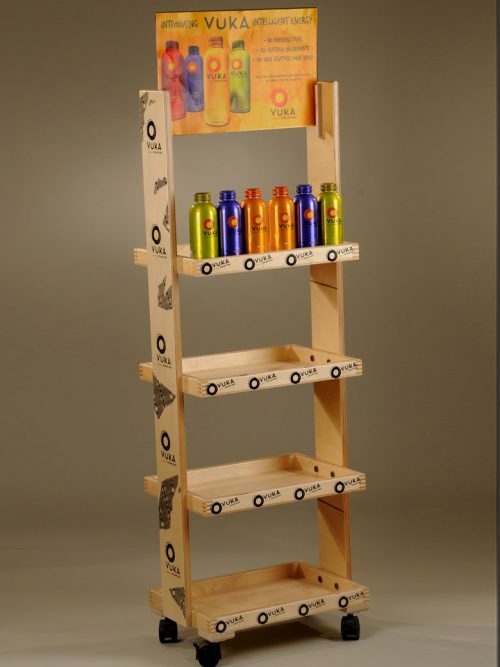 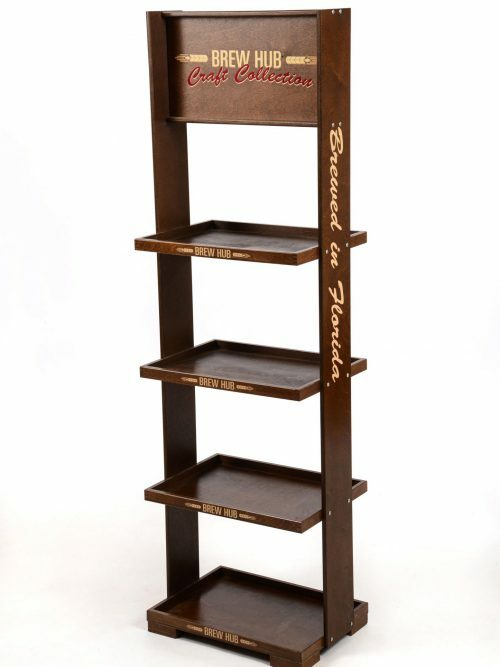 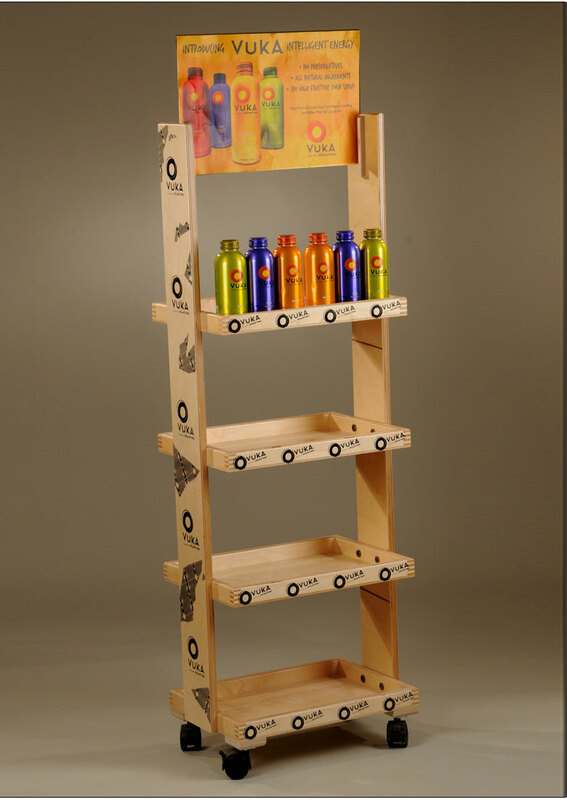 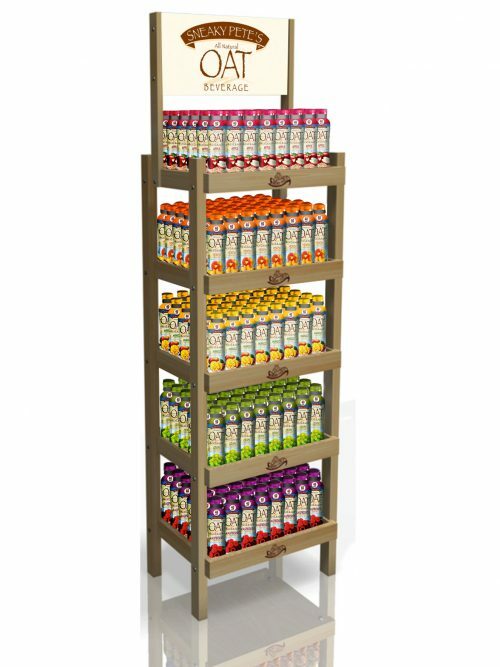 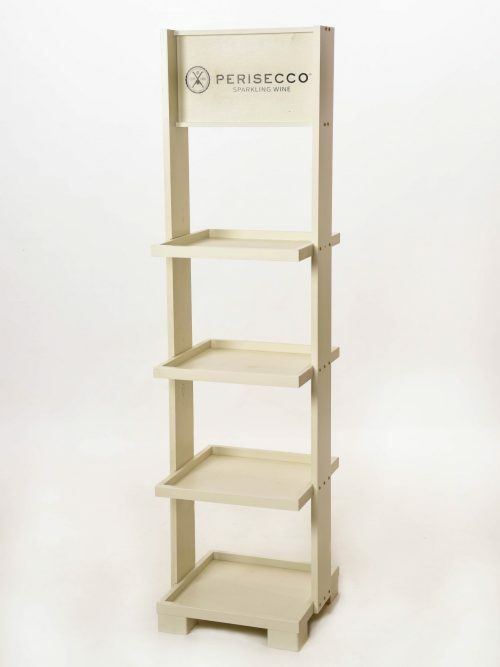 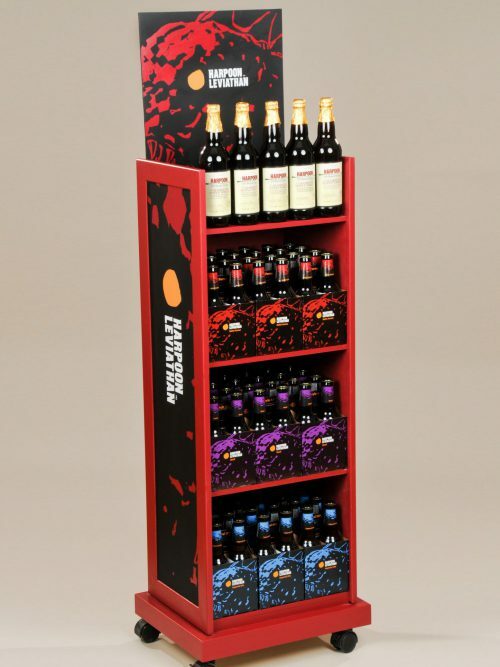 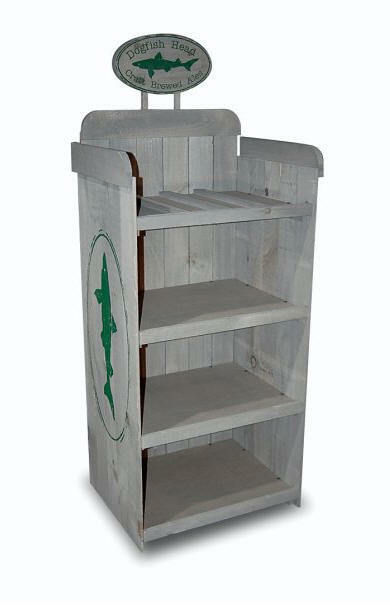 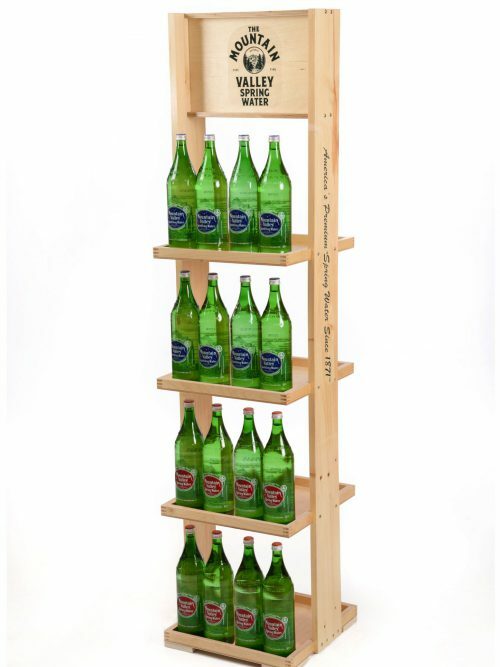 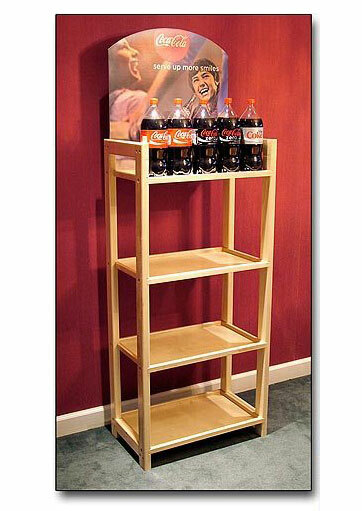 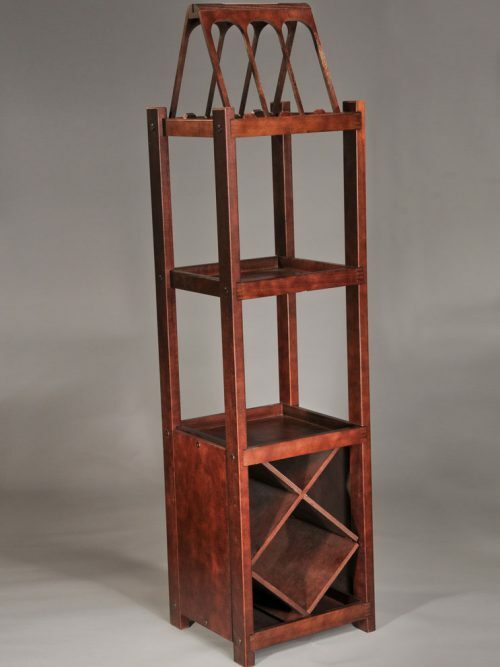 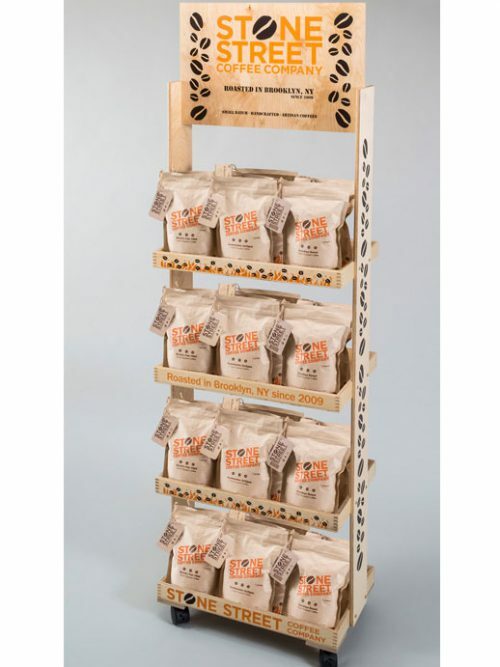 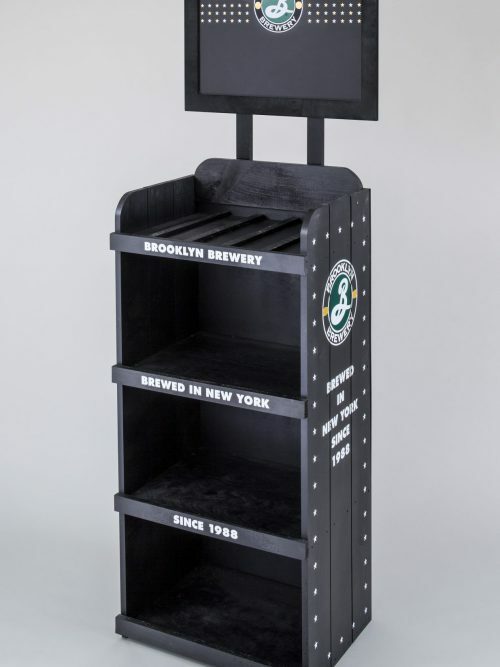 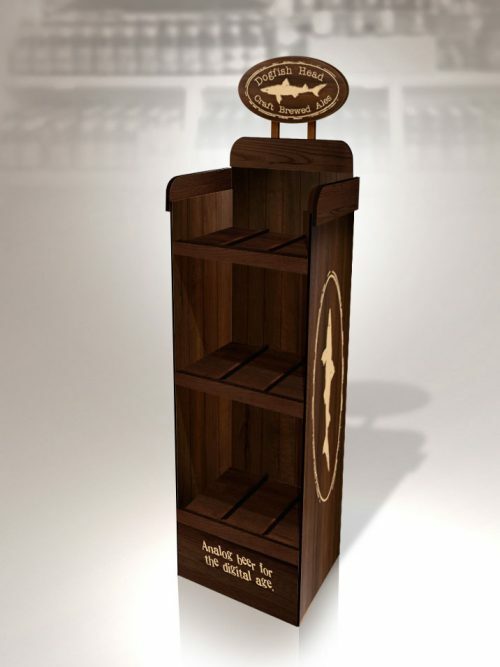 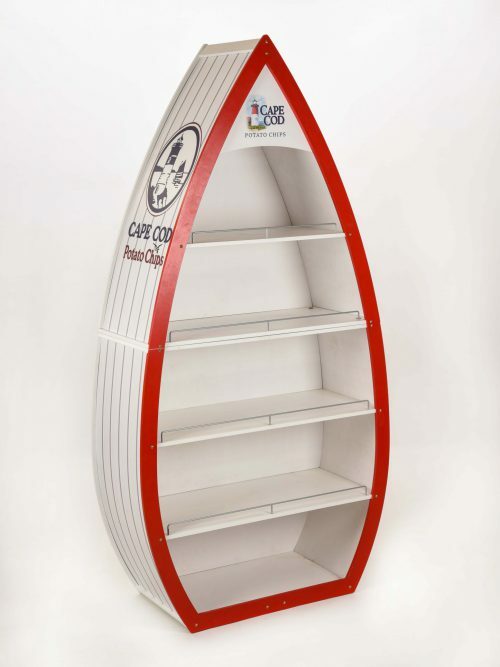 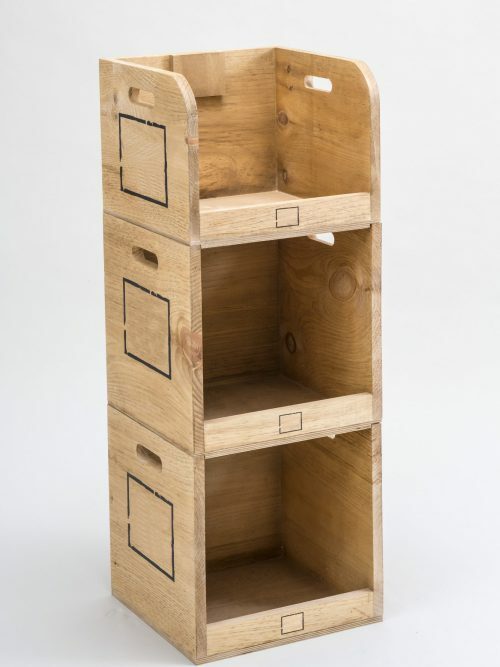 4 racks heavy loading carton standing beverage display shelf, wood, with branding. 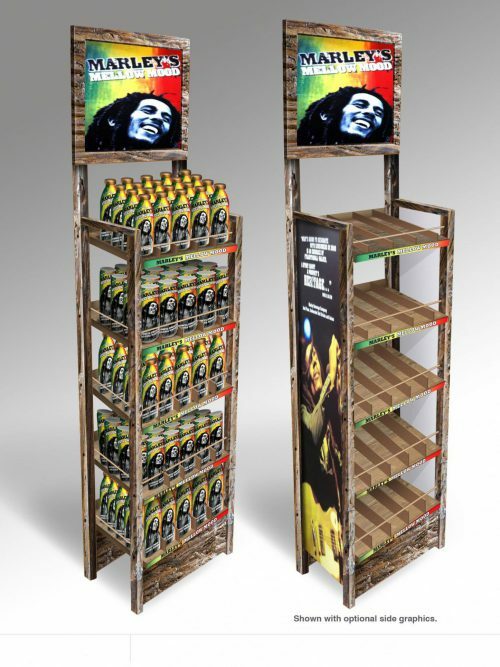 customize metal energy drink stand. 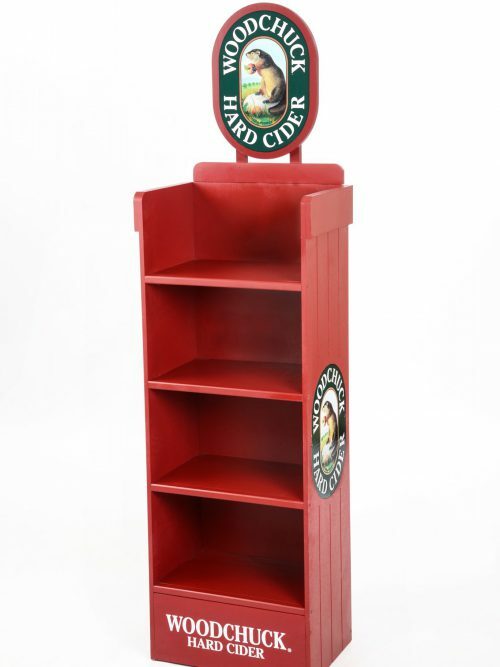 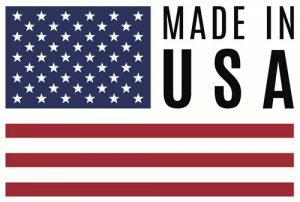 May also be used for beer, soda, soft drinks, liquor, wine, spirits, bottled drinks, bottled water, spring water, sports drinks, hard cider. 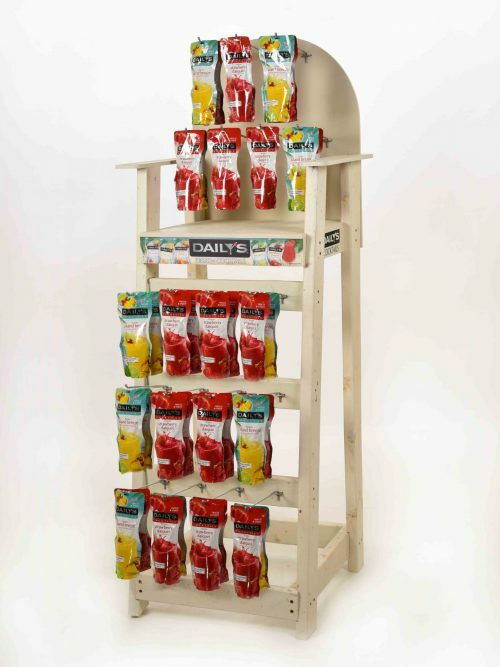 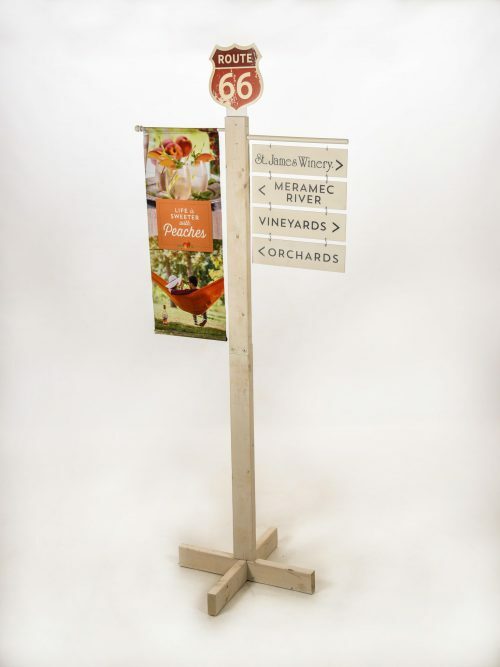 Versatile enough to accommodate a variety of packaged snacks and food items as well.